The time has come, and I'm moving on from LMAX. I've had an incredible (nearly) four years working for one of the most radical finance firms in the world, during which time I feel I've learnt more than the rest of my work experience put together, and had the pleasure to work with some of the smartest and most interesting people I've ever met. 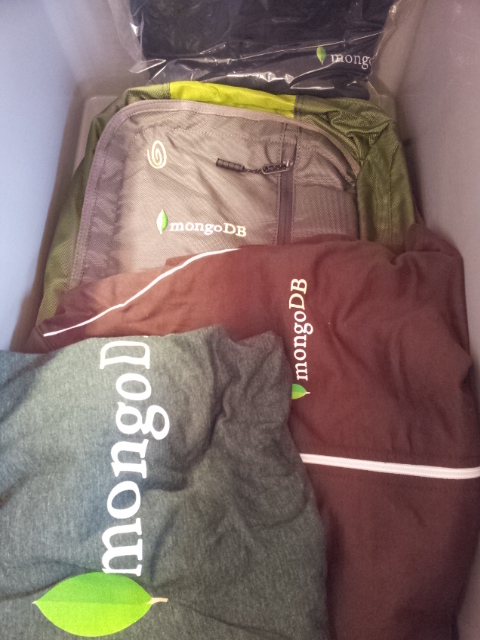 I've been invited to join 10gen and their MongoDB driver team, a challenge I am really looking forward to. After years in finance and in the IT departments of other organisations, I'm finally working for a product firm, and an open source one. I expect it will be very different from anything else I've been involved in. I hope this means I will be blogging even more, and that I'll have opportunities to abuse my graphics tablet producing more ridiculous scrawlings. I also hope this will give me an opportunity to meet more people as I travel around. So, as if this were a goodbye e-mail to the company or an out-of-office reply, I should finish with: any further enquiries about the Disruptor should be addressed to the Google Groups list - there are people on there waaay smarter than me anyway. Lots of shiny new goodies! Congratulations, Trisha! I hope you've met Kristina Chodorow. She's also at 10gen and frequently has fun and awesome blog posts. Thank you! I haven't met her yet (I don't think?) but I've been reading her awesome blog.